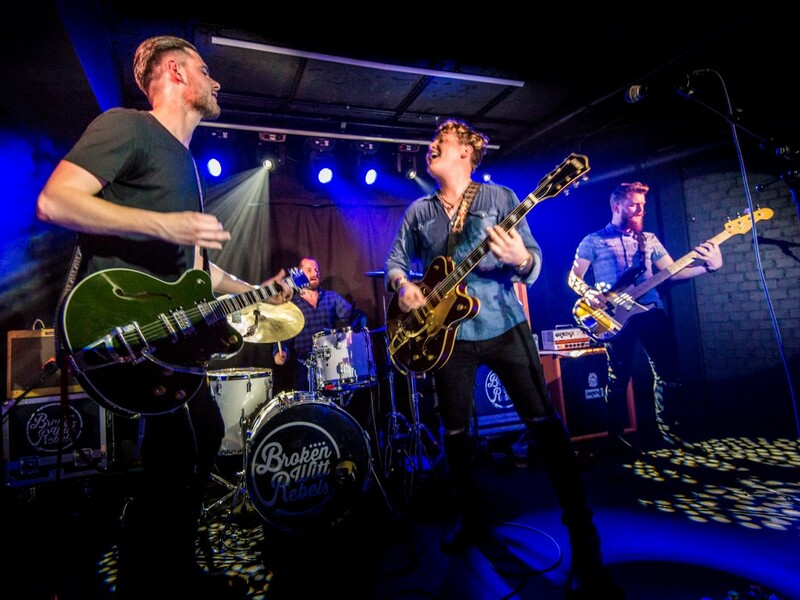 Share the post "Gig review: BROKEN WITT REBELS/BAD TOUCH – The Borderline, London, 8 April 2017"
While the ‘Roadstars’ strapline may be a tad presumptuous for two bands who are still learning their craft, there’s no denying the capacity crowd’s enthusiasm for a double bill aimed at two related, but slightly different markets. 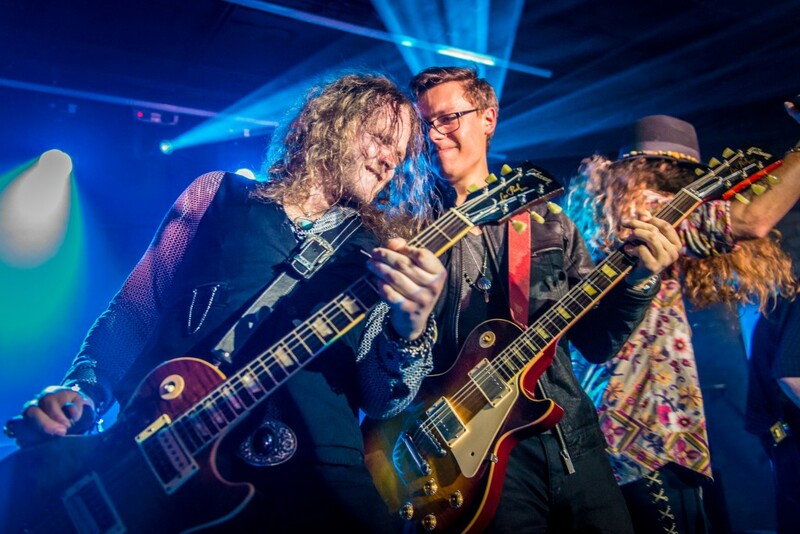 Norwich’s Bad Touch are influenced by southern rock – right down to their flowing locks and homesteader hats – while Broken Witt Rebels lean more towards a post Zeppelin, hard rock direction. Such is the heightened sense of anticipation for tonight’s double rock bill that the gig is in danger of being a triumph of the event over musical substance. Happily both bands soon find their feet to unveil their own unique styles, which remain joined at the hip by both volume and the power of the grand gesture. With it’s black walls, high volume pa and a busy light show, the newly refurbished Borderline reminds us of the old Marquee days. All that is missing is the sticky carpet. 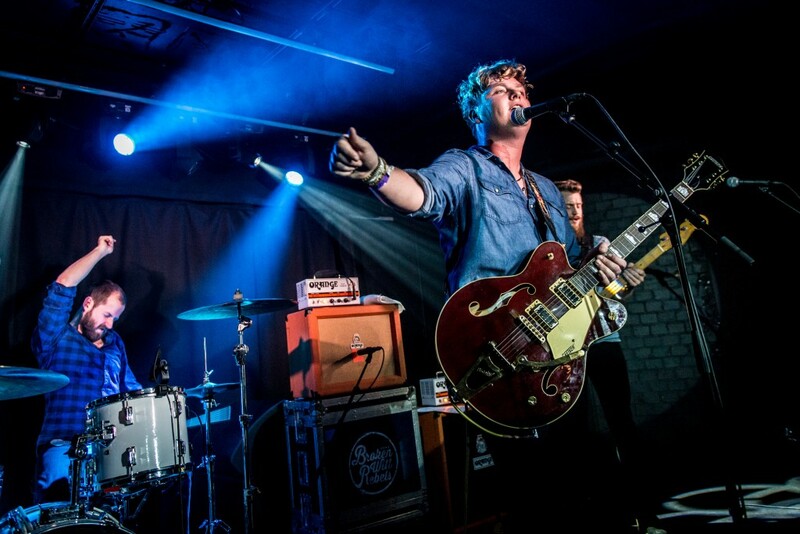 Both bands deliver riff driven sets full of booming ‘call and response’ moments and copious mentions of the venue. To say that they both have rough-edged potential would be to overlook their achievements so far. 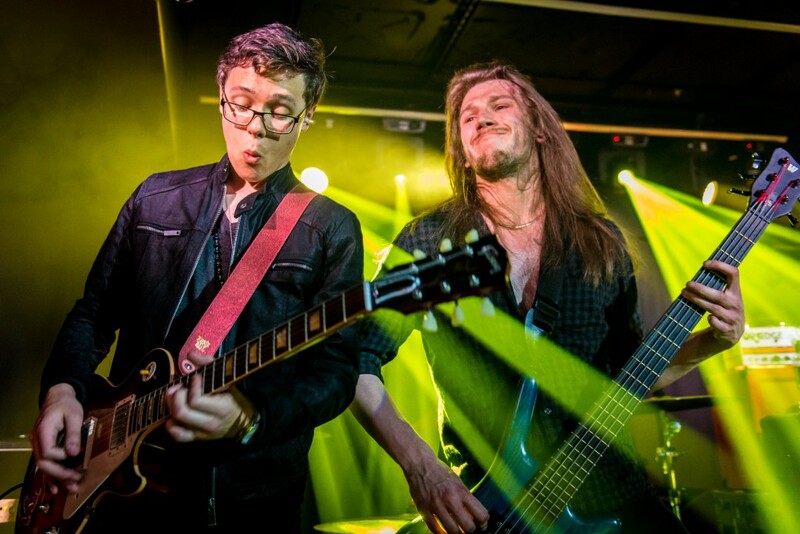 Bad Touch for example, have added the studious looking guitarist Harry Slater, who in his best moments brings poise and considered solos to counter-balance the band’s headbanging tendencies. Broken Witt Rebels on the other hand, have been clearly working on their songs and in between occasional moments of lumbering bluster there’s some sparkling hooks trying to get out. Bad Touch have apparently brought half of Norfolk with them tonight and their fans roar them on into ‘Heartbreaker, Soulshaker’ - a staccato rocker with a nuanced funky feel and an expansive chorus – while ‘Wise Water’ is a familiar sounding drinking song. Anchored by a stuttering rhythm it’s fuelled by recycled Zeppelin riffs over which Steve Westwood adds a committed, if slightly nasal vocal. Their bombastic opening sets the bar high for an evening of bone crunching riffs, sing-along hooks and thank you’s to both the crowd and venue. ‘Take Your Time’ is a welcome change of pace on which vocalist Westwood broadens his range to sound like Devon Allman, on a southern rock style ballad featuring another tasty Harry Slater solo. A brief foray into a cover of ‘Hard To Handle’ cements the deal and they finish off with a retro sounding, slow building rocker eclipsed by the neat line: “revolution is a number and it starts with number one”. They rock out one last time and finally reveal their hand with a closing Zeppelin riff. Broken Witt Rebels show real professionalism in rebuilding the excitement levels. Their no nonsense approach is based on a twin guitar attack and an intuitive understanding of the value of dynamics. This provides the perfect cushion for Danny Core’s raw gritty voice, which occasionally evokes a ragged Bon Scott feel and drags the lyrics over a jagged tooth saw and a barbed wire fence, before delivering his lyrical meaning. The band update the 70′s classic rock template with their own style. You can understand the Kings of Leon and Rival Sons comparisons, but they add their own unpretentious contemporary Brummy take on retro rock, shaped by a wall of sound and punctuated by sludgy rhythms. The Rebels’ vocalist Core doesn’t hold back. He momentarily over extends himself on ‘Bottom Of The Hill’, struggling with his phrasing on an elongated vowel, but recovers to deliver essential grit and a bluesy soulful feel to the band’s booming rock. And if over exuberance frequently leads to both bands rushing into a resolving chorus, Broken Witt Rebels show slightly more restraint by building up a heavy groove to accommodate Core’s earthy phrasing. Guitarist James Tranter fires off several steely riffs that draw the crowd into the meat of their songs and they find their equilibrium on ‘Low’. The smouldering blues-rocker sounds a bit like Free until they add an infectious ‘woohoo’ on the chorus. As the set gathers pace, they drone, they rock out, and bludgeon us with grungy influences before the unexpected Hendrix ‘Hey Joe’ riff on ‘Bottom Of The Hill’, which perfectly frames tonight’s contemporized 70′s vibe. 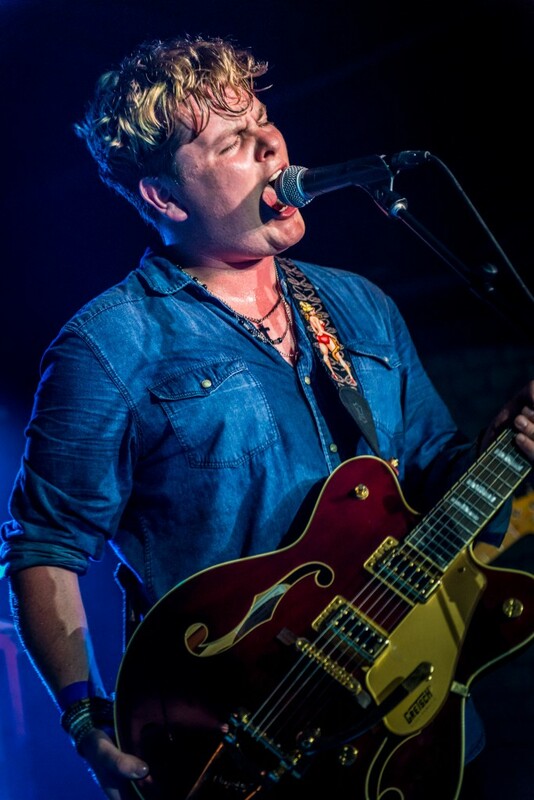 This entry was posted in All Posts, GIG REVIEWS and tagged AC/DC, Bad Touch, Broken Witt Rebels, classic rock, Danny Core, Devon Alman, gig, Harry Slater, James Tranter, Jimi Hendrix, Kings Of Leon, Led Zeppelin, review, Rival Sons, Roadstars, southern rock, Steve Westwood. Bookmark the permalink.